During this past football season I began to build bad habits in kicking and punting. Right now I am in the process of fixing them with my coach Sam Watts to prepare for Spring Ball, College Camps and this upcoming season. I am hoping to repeat the spring and summer that I had last year winning both Stanford and USC’s special teams camp and performing well in spring ball. A key focus this off-season is strength training and conditioning. Great progress in this area is necessary to prepare my body for what will be a long season of both punting and kicking duties for Saguaro High School. We are into Week 8 of weight lifting and I have already started to see improvements. I have gained 15 pounds from lifting and the dieting. I was 175 pound before the weight lifting and now I am 190 pounds. Protein shakes twice daily have been essential in helping me build muscle. To increase flexibility I am also foam rolling and doing band work. I found that dieting is huge for all of this. I am using a high calorie meal plan from a former player that is also helping me gain weight and muscle. When it comes to kicking, we are going back to the basics and resetting bad form that I have developed from the past season. Much of this has been using drill work. This consists of doing dry runs, no step kicks and one step kicks. This is to help my power go up and through the ball instead of downward. Reviewing film of this has been extremely helpful in eliminating my form errors. I am also weight lifting differently to gain power in other areas than before. I am using lifts that involve fast movements to help my leg speed get faster. Currently we are putting it all together with live snap and holds to test my progress. I will continue my current routines through Spring ball. Next week I am going to start getting live reps with my new long snapper and holder. 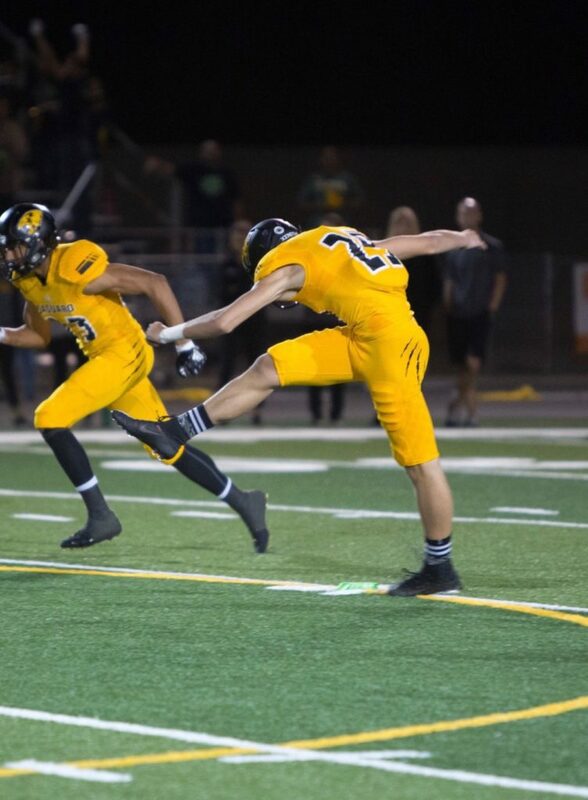 For the upcoming season Saguaro is taking a much more serious approach to special teams this year than ever before and I am really excited for what’s to come.